Vision Curator’s Note: This post was originally published on January 29, 2013, on Employee Happiness Tips Tricks & Tools, a site where you can find state-of-the-art real-life ideas for boosting employee happiness. 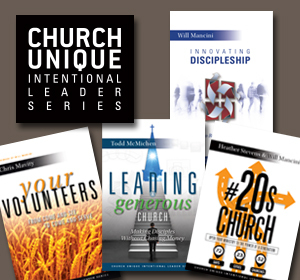 With the author’s permission, I’ve made only slight modifications to reflect the language of church ministry teams, focusing on Guest Experience teams. There is a clear linkage between the team member experience and the Guest experience in your church. We know that. And yet, many organizations still refuse to make the team member experience a priority, focusing instead on other more tangible factors without considering the implications of a poor team member experience. This post is about what it takes to put team members first, to make their experience a clear priority. I’ve been preaching the importance of team members in the Guest experience equation since my days at J.D. Power and Associates 20 years ago, and yet, in the heat of Guest experience design efforts, team members are forgotten. Organizational executives say: “Oh, we’ll collect feedback from team members later. We’ll incorporate team member data after we hear how our Guests feel. We’ll do something for team members next year. We’ll think about our culture at another time. Let’s start with our Guests.” This is not, nor has it ever been, acceptable. CEO Hal Rosenbluth chronicled the incredible success of his travel-services firm, Rosenbluth International, in The Customer Comes Second. Love that title! Who comes first? Don’t be silly, says King Hal; it’s employees. That is – and this dear Watson, is elementary – if you genuinely want to put customers first, you must put employees more first. It is often said that Guests will check out organizations with which they align, whether that alignment is with the organization’s purpose, the organization’s social responsibility policy, or something else. 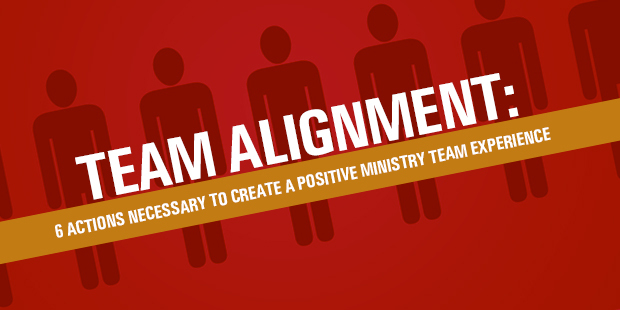 Team members want to be a part of organizations with which they are aligned, as well. That’s where passion comes in. How can you be passionate about doing something or being a part of something you don’t care about or that doesn’t fit your own values? Putting the effort into enlisting the right people shows that you care about your brand, the organization as whole, and your Guests… and most importantly, the team members. Note: the “right people” aren’t always the most-experienced or the most-obvious ones, either. You can’t just enlist people, set them free, and think they’ll understand what’s expected of them. By “knowing what’s expected of them,” I don’t just mean knowing what to do in their new roles. Yes, obviously explaining the task, and where to find needed supplies are all important to the onboarding process, but what I’m referring to is that they must know what it means to be a part of your organization, i.e., knowing your brand promise, values and commitment, what it means to live the brand, and where the priorities lie. In other words, define the culture. The Senior Pastor is the brand champion for most church organizations and drives the communication and the culture. The Senior Leader and/or Leadership Team needs to build alignment to the brand strategy through constant communication: educate and inspire; teach team members how their actions impact the Guest experience. A culture of transparency – one of open, honest, and candid communication – will yield amazing results. Communication also includes feedback, whether it’s ongoing feedback about performance to the team member (or from the team member) or in the form of a survey or some other data collection methodology. Feedback, like communication, is a two-way street. And it needs to be acted on. In order for team members to live this culture, they must be empowered. While “team member empowerment” might be one of those phrases that is over-used in conversation/theory but under-utilized in reality, I am referring specifically to ownership and accountability. I think team members can relate to what that means, but your onboarding process should certainly clarify that for them. If they receive direct feedback about their performance, they need to own it and correct it. If a Guest has a bad experience directly related to his/her service, be accountable. Learn from it and improve. If a Guest has an issue, step up and come up with creative solutions to fix it. If team members have ideas on how to improve the Guest experience, they should be encouraged to share with the team – own it and do it. Team member ownership means your people are invested in the organization emotionally. Team member ownership also means that team members are involved in decisions about how to improve the Guest experience – and the organizational culture is such that this is allowed, supported, and applauded. Team member ownership also means that the senior leadership team is no longer in charge; the team members are. They think and act like they own the organization. Rewards and recognition for a job well done must be a part of your culture. Praise for delighting Guests should always be given. Knowing that their ideas, suggestions, opinions, and contributions are valued and appreciated goes a long way toward facilitating and nurturing team member engagement. Two small words, “thank you,” on a regular basis shouldn’t be too difficult. What tools can we use to set all of this into motion? I would recommend building a team member journey map. Just like the Guest journey map is the backbone of Guest experience management, the team member journey map is the same for the team member experience. How can you improve upon something if you have no clue what “it” is? A team member journey map clearly outlines the team member experience for you from end to end, helps to identify areas for improvement, and brings awareness to the good and the bad parts of the team member experience. The journey map will facilitate a culture transformation. Putting team members first is a lot of work, isn’t it? There’s a lot to it. An organization that puts team members first is not simply giving out coffee cups and having foosball tournaments. There’s a concerted effort, day in and day out, to do the right thing and to build the right culture. One final note: I think this might just be the most important thing. Never forget that we are all human. Show your team members that you truly care about and respect them, that they are more than just a number. Treat them the way you’d want to be treated. Treat them like humans. Read more from Annette here. What Gets in Our Way When It Comes to the Church’s Mission to Make Disciples?